Sony announced 30 layoffs in QA. 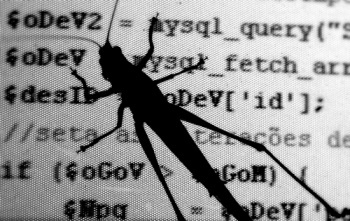 Will the decrease in permanent quality assurance workers in the industry result in more bugs? SCEA confirmed to Gamasutra that the rumors of consolidation which surfaced on the internet last week were true. Patrick Seybold, Sr. Director, Corporate Communications & Social Media at SCEA, said that the company plans to run their entire QA department out of the San Diego office and to rely more on temporary help during crunch times. That way they can reduce costs and streamline the QA process. "We are consolidating our [Foster City-based] first-party QA group to one location in San Diego," said Seybold. "Approximately 30 fulltime positions are effectively removed." He didn't comment on the reports of over 100 positions being affected. "We do aim to [additionally] have a contingency workforce down in San Diego, but they are by nature temporary, and depend on season and title release [schedules]." Seybold added, "I wouldn't say it's 'business as usual,' because there's nothing usual about our business." The statement echoes what we heard from Harmonix last week and seems to be a trend in the industry to move QA to temporary help. From a business standpoint, I'm sure that quality assurance is the first place that cutbacks can be made as they often aren't "creative" positions. But I worry if we'll see a rise in the amount bugs creeping into released games. After all, temps are always the most motivated workers.